A positive summary of Laura Catena’s new book, Vino Argentino. Its a family affair. Laura Catena carries on vintner's legacy. 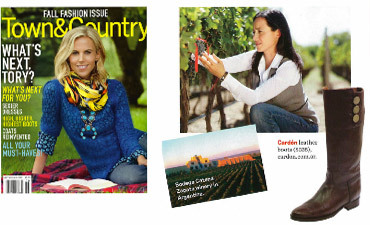 "Ladies in Red and White"
Laura Catena talks about the wines and culture of Argentina. A Winery and A Family Grow. Insider Argentina: Where To Sip Wine in Mendoza, Salta and More. Dave McIntyre contemplates what makes Argentina unique in advance of a presentation on Argentina wines that he’ll be giving with Laura Catena at the Smithsonian's National Museum of American History. "How Four Fabulous Women Rusticate"
"Nicolas Catena spoke with pride about his daughter, Laura, who’d attended Harvard and Stanford and become an emergency-room doctor in San Francisco, with an American husband and a growing family. “I never, ever thought I would work with my father,” she now says. 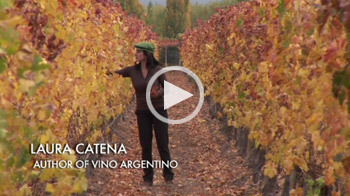 As the Catena winery expanded, she made brief trips back home to offer advice. Somewhere along the way, she became indispensable. These days, she spends a third of each year in Mendoza, helping Catena Zapata stake its claim as Argentina’s premier winery. Because she appears in magazine ads, and because she’s fiercely intelligent and uncompromisingly honest, Laura Catena has become the face of Argentinean wine. She also has an adventurous streak that balances the methodical thinking that drew her to medicine"
From Travel and Leisure, September 2009, by Bruce Schoenfeld . 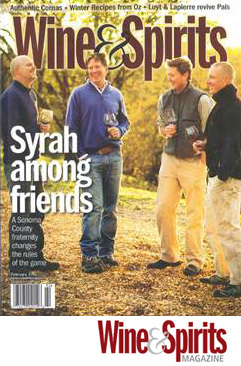 ures on the Argentine wine scene..."
Jordan Mackay, 7 X 7 San Francisco Magazine.